Tomoko Kanda was born and lives in Chiba, near Tokyo. 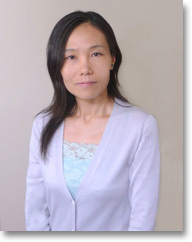 She is Associate Professor in the Department of English at Nihon University, Tokyo, where she teaches 19th and 20th century English literature, with a special interest in Victorian ‘social problem’ novels. She obtained her M. Phil. from Cambridge University, and is a member of the Gaskell Societies in both the UK and Japan. She has translated Gaskell’s ‘Morton Hall’, and is currently translating Sybil by Benjamin Disraeli. She has worked as an editor of the journal Igirisu Syousetsu no Tankyu [Exploring English Novels], and has published more than thirty papers, which she is now gathering into a book. She is also about to publish two books in collaboration with colleagues: Jituzou heno [Challenge to Reality] and Victorian Studies. Her chapters are on John Ashworth, a forgotten Victorian bestseller, and ‘Victorian murderesses in fiction and reality’.